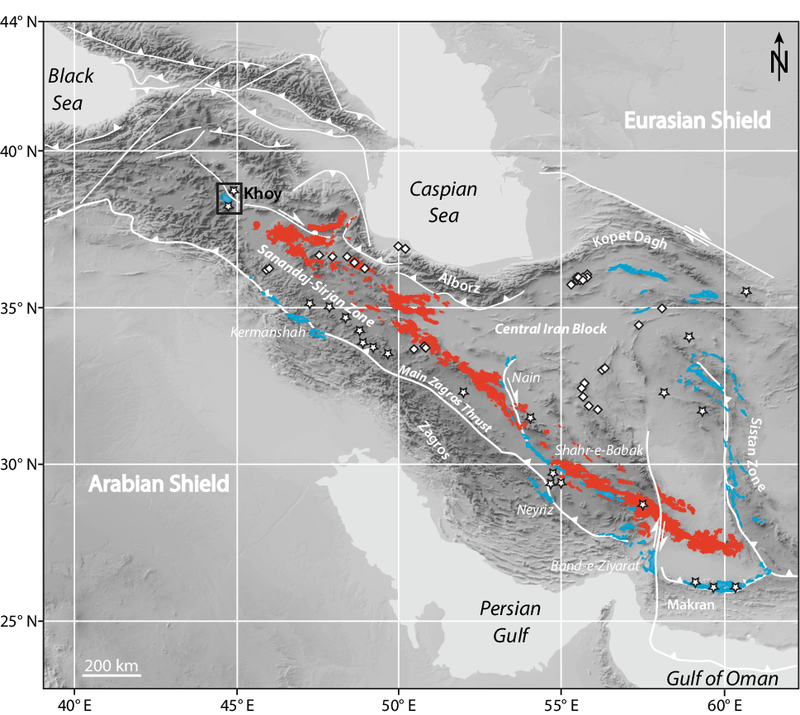 Previous interpretations of a Jurassic subduction in Iran were based on trace element classification diagrams for granitoids, but their reliability is questionable, underscored by modern examples of continental break-up zones such as the Baja California. 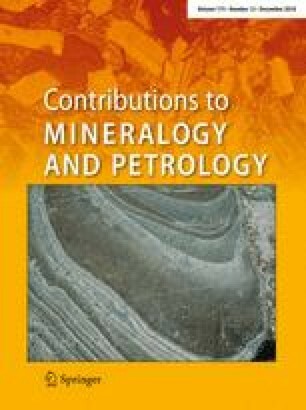 We present new field observations, bulk rock geochemistry, Sr and Nd isotope analyses and U–Pb zircon geochronology to assess the age and tectonic setting of previously undated intermediate to felsic magmatic rocks cropping out in the Precambrian basement of NW Iranian Azerbaijan. The geochronology revealed an uneven distribution in space and time: Late Jurassic (159–154 Ma) intrusions and dikes are alkaline to calc-alkaline. Their melt source is mantle dominated with a distinct continental contribution disclosed by radiogenic isotopes and abundant inherited zircon cores. Mid-Cretaceous (112–96 Ma) plutonic bodies and associated volcanic rocks occur only to the east of the major Siah Cheshmeh–Khoy Fault. They have geochemical signatures typical of a metasomatized mantle. In consistence with the sedimentation history of the area, our new interpretation attributes the Late Jurassic magmatism to thinning of a continental lithosphere in a rift-related setting. Mid-Cretaceous magmatism was produced by oceanic subduction beneath the Central Iran continent. We interpret the 40-Ma age gap between the two magmatic episodes as the time of opening of the oceanic basin witnessed by the Khoy ophiolite in the study area. The online version of this article ( https://doi.org/10.1007/s00410-018-1532-8) contains supplementary material, which is available to authorized users. The Khoy ophiolite complex is located to the northwest of the city of Khoy, between the Sanandaj–Sirjan zone and the Central Iranian block (Fig. 1; e.g. Hassanzadeh and Wernicke 2016). The Khoy ophiolite represents a former oceanic basin (e.g. Khalatbari-Jafari et al. 2003) whose opening and closure remain disputed. Likewise, the setting of the Khoy ophiolite with respect to the other ophiolites of the Zagros fold belt (Fig. 1) remains debated. Closure of the Neo-Tethys Ocean and related seaways, and beginning of collision took place between Late Eocene/Oligocene and Early Miocene (e.g. Agard et al. 2005; Ballato et al. 2011; Okay et al. 2010; Vincent et al. 2005). 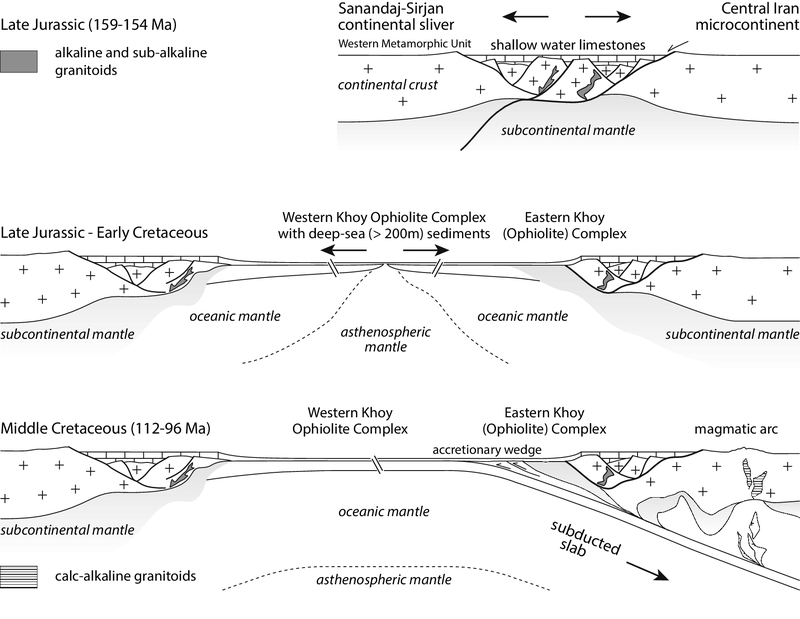 Subduction along the northern margin of the Neo-Tethys below the Sanandaj–Sirjan zone is claimed to have started in latest Triassic to Early Jurassic forming a magmatic arc represented by Middle to Late Jurassic (150–175 Ma) intrusions (Fig. 1; Hassanzadeh and Wernicke 2016 and references therein). Geological maps of the Khoy area report granitoid plutonic bodies with subordinate volcanic rocks. These granitoids are not ascribed to any geological setting due to scarce age constraints. This study presents 14 U–Pb zircon ages of granitoid rocks revealing two periods of magmatic activity: Late Jurassic (159–154 Ma) and Middle Cretaceous (112–96 Ma). The active Siah Cheshmeh–Khoy right lateral strike-slip fault cuts the region into two parts (Fig. 2). The Late Jurassic intrusions and dikes occur on both sides of the fault. Conversely, Cretaceous plutonic bodies occur only in the Central Iranian block on the northeast side of the fault. Fieldwork, petrological and geochemical results point to an extensional event during the Late Jurassic, when mantle-derived magmas intruded a thinned continental lithosphere. This extensional event led to the formation of the Khoy oceanic lithosphere between the Sanandaj–Sirjan zone and the Central Iranian block. Closure of this basin started in the Mid-Cretaceous forming a calc-alkaline magmatic arc along the continental margin of the Central Iran block. Therefore, the active Siah Cheshmeh–Khoy Fault reactivates the former site of subduction. The Khoy area is located in northwest Iran (Fig. 1). Field work was carried out using maps published by the Geological Survey of Iran at 1:250,000 (Khoy: Haghipour et al. 1978) and 1:100,000 scales (Dizaj: Amini et al. 1993; Khoy:; Radfar et al. 1993; Qotur:; Khodabandeh et al. 2002a, Salmas: b). The study area is subdivided into three major NW–SE trending units, from northeast to southwest (Fig. 2): (1) the Central Iranian block (CIB), (2) the Khoy ophiolite complex (KOC) and (3) the western metamorphic unit (WMU), which extends into Turkey and the East Anatolian Plateau (Khalatbari-Jafari et al. 2003). The three units are characterized by Mesozoic–Cenozoic southwestward thrusting (Khalatbari-Jafari et al. 2003). Several NW–SE trending dextral strike-slip faults have sliced these units and dominate the recent tectonic activity (Karakhanian et al. 2004). However, original lithological contacts are preserved in places. The CIB belongs, like the Sanandaj–Sirjan zone and the Alborz Mountains, to the Late Neoproterozoic to Early Cambrian continental basement (Azizi et al. 2011; Guest et al. 2006; Hassanzadeh et al. 2008; Lam 2002; Ramezani and Tucker 2003; Samani et al. 1994; Verdel et al. 2007). Permo-Triassic platform limestones with Eurasian fauna unconformably cover the gneisses and granitoids of this basement (Berberian and King 1981; Stöcklin 1968). Paleogeographic reconstructions show that the CIB rifted from the northern margin of Gondwana during the Permian to Mesozoic opening of the Neo-Tethys (e.g. Stampfli 2000; Stöcklin 1968). 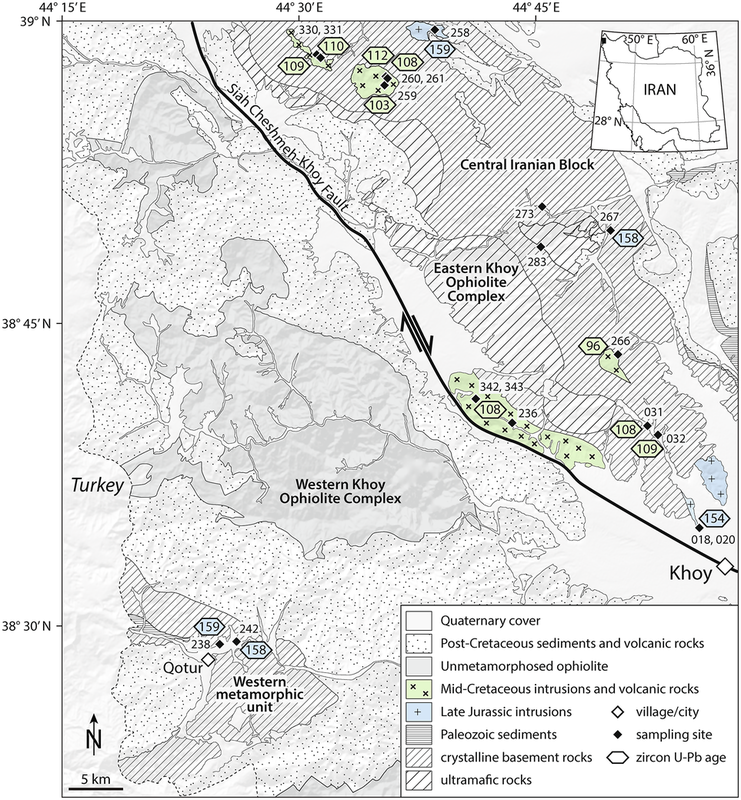 The KOC is subdivided into the eastern (EKOC) and western (WKOC) Khoy ophiolite complex (Fig. 2). The EKOC was defined as a meta-ophiolitic unit with tectonic slices of ultramafitites and amphibolites, micaschists, marbles and greenschist-metamorphic metabasic rocks (Khalatbari-Jafari et al. 2003). 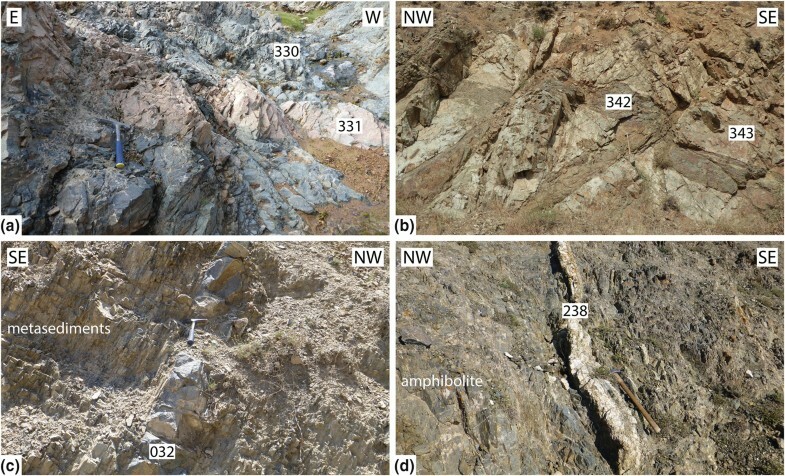 40K/40Ar amphibole ages of amphibolites range from 189 to 102 Ma, loosely suggesting a pre-Jurassic primary magmatic age (Khalatbari-Jafari et al. 2004). 40Ar/39Ar age determination on hornblendes of amphibolites consistently yielded two age groups: 159–155 and 104–112 (Ghazi et al. 2001, 2003; Pessagno et al. 2005). Based on U–Pb zircon and Rb–Sr mineral isochron dating, Azizi et al. (2011) determined a Neoproterozoic crystallization age (< 550 Ma) for metagranites and metabasalts that would have experienced a metamorphic event < 146 Ma ago. The Neoproterozoic age is consistent with other ages measured on CIB rocks (Fig. 1; Hassanzadeh et al. 2008; Ramezani and Tucker 2003), suggesting that the ultramafic and mafic EKOC is part of the CIB. The WKOC is separated from the CIB and the EKOC by the active right lateral Siah Cheshmeh–Khoy strike-slip fault (Djamour et al. 2011), and post-Cretaceous sediments and volcanics. The WKOC is an almost complete, non-metamorphic ophiolitic sequence from harzburgitic mantle rocks to layered gabbros, pillow lavas, sheet flows and Late Cretaceous (Turonian to Campanian) pelagic limestones (Khalatbari-Jafari et al. 2003). The western metamorphic unit (WMU) is composed of altered ultramafic rocks, gabbros, amphibolites and greenschist facies metabasic rocks covered by Permian dolomites and limestones (Khodabandeh et al. 2002a). No detailed analytical work has been performed on the WMU to date, but the unit is interpreted as the northwestern extension of the Sanandaj–Sirjan zone (Hassanzadeh and Wernicke 2016). Across the border, on the Turkish side, ophiolites and ophiolitic mélanges of the East Anatolian Plateau, covered extensively with Neogene and Quaternary volcanics and sediments, are connecting the Izmir–Ankara–Erzincan suture with the Zagros suture (Şengör 1990; Topuz et al. 2017). Bulk rock analyses were acquired using XRF and LA–ICP–MS at ETH Zurich. For U–Pb ages, zircons were separated, mounted and analyzed by LA–ICP–MS at ETH Zurich. Crystallization ages were calculated using weighted mean 206Pb/238U ages of concordant measurements using Isoplot (Ludwig 2012) with 95% confidence and total uncertainties, including quadratically propagated external error as suggested in Horstwood et al. (2016). The MSWD is calculated based on internal uncertainty. High MSWD values are assumed to be due to either prolonged crystallization, contamination, open system behaviour, such as Pb loss or heterogeneity. Details of data handling are given in supplement S1. Solution ICP–MS and bulk rock radiogenic Sr and Nd isotope analyses were carried out at the Victoria University of Wellington, New Zealand. Analytical methods are described in supplement S1. The dated rocks were sampled in the three CIB, EKOC and WMU units (Fig. 2). The kilometer-sized plutonic bodies in the CIB (Fig. 3a) are dominantly medium- to coarse-grained granitoids with equigranular to porphyritic texture. EKOC monzogabbros are altered to a greenschist facies assemblage but preserved the original magmatic texture. Subvolcanic dikes with doleritic texture and rhyodacites are scarce (Fig. 3b). NNE–SSW to NE–SW striking decimeter- to meter-thick fine-grained holocrystalline granitic dikes with undeformed to foliated porphyritic texture intruded the CIB and the EKOC (Fig. 3c). In the WMU, large plutonic bodies are absent but felsic dikes similar in appearance and orientation to the CIB and EKOC dikes are common (Fig. 3d). The felsic samples are holocrystalline and contain quartz, alkali feldspar and plagioclase as major constituents, all with anhedral to subhedral crystal habit (Fig. 4a, b). The samples are generally fresh but show indices of low-temperature metamorphism with chlorite, epidote, prehnite and carbonate veinlets. Quartz grains show undulose extinction and a consertal intergrowth texture. K-feldspars often show simple or cross-hatched twinning and perthitic exsolution lamellae. Plagioclase grains are characterized by polysynthetic twinning. Biotite, muscovite, amphibole, zircon, apatite, titanite, allanite and iron oxides are accessory minerals. Anhedral grains of chlorite are related to biotite alteration. Sample 283 is a dioritic dike (Fig. 4c). Sample 343 is a hypocrystalline porphyritic rhyodacite with rounded phenocrysts of quartz, K-feldspar and plagioclase in a fine-grained matrix of the same composition. Quartz shows typical resorption embayments (Fig. 4d). Intermediate, holocrystalline samples are dominated by anhedral to subhedral plagioclase, K-feldspar with minor to medium amounts of anhedral quartz, amphibole and biotite (Fig. 4e). Plagioclase has polysynthetic twinning, quartz undulose extinction and alkali feldspar is recognized by simple twinning. Accessory minerals are zircon, apatite, titanite, muscovite, allanite and opaques. The samples are fine to medium grained. Monzogabbros are holocrystalline and contain plagioclase and clinopyroxene as major constituents. Large apatite grains (∼ 0.5 mm), skeletal Fe-Ti oxides and quartz are accessory minerals. Plagioclase grains are subhedral and partially to completely replaced by epidote and chlorite (saussuritized) or prehnite. Anhedral to subhedral clinopyroxenes have lamellar twinning; few grains are zoned. They occur as phenocrysts, occasionally as glomerophyritic assemblage or as fine grains in the matrix (Fig. 4f). Dispersion of the optic axes indicates augitic compositions. Magmatic olivine grains are replaced by fine-grained assemblages of chlorite and epidote. Calcite and chlorite veins are common. Results of zircon geochronology, including statistics, are provided in Table 2. Cathodoluminescence (CL) images with laser-ablation sampling spots, metadata for LA–ICP–MS U–(Th)–Pb dating and the data of standards and measured samples are provided in supplements S2–S5. The 14 dated intermediate to felsic samples yield two age groups (supplement S6): (1) Late Jurassic (159–154 Ma) and (2) Middle Cretaceous (112–96 Ma). 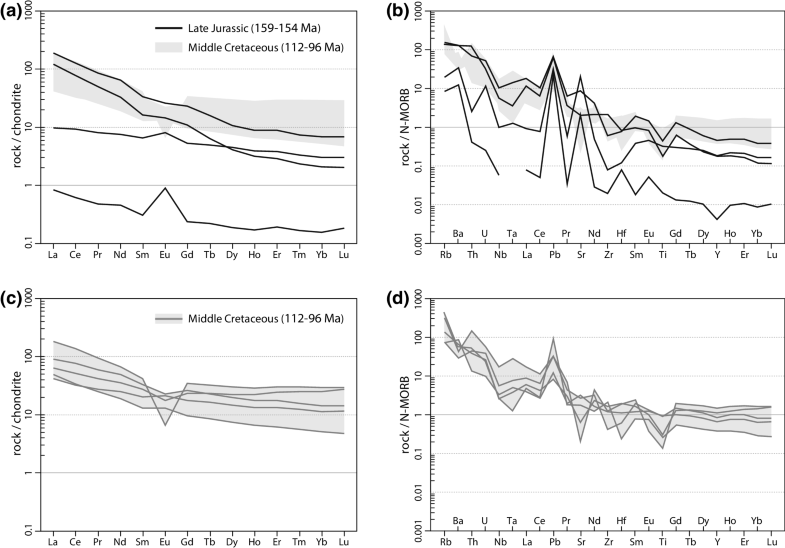 Five Late Jurassic concordant ages were obtained (supplement S6), in the order of decreasing age: 158.9 ± 2.5 Ma (granodiorite 258), 158.6 ± 2.5 Ma (trondhjemite dike 238), 158.3 ± 2.6 Ma (dioritic dike 267), 157.7 ± 2.9 Ma (monzodioritic dike 242) and 153.9 ± 5.8 Ma (granite 020). Monzodioritic dike 242 delivered only one zircon grain, which is statistically not relevant. However, sample 238 with an age of 158.6 ± 2.5 Ma and abundant concordant zircons confirms the presence of Late Jurassic dikes in the western metamorphic unit (WMU; Fig. 2). Concordant 206Pb/238U Paleoproterozoic to Early Jurassic ages (175–2075 Ma, Table 2) are common in granites 020 and 258 (Fig. S6.1b), and in the dioritic dike 267. The old ages are attributed to assimilated zircon grains and inherited cores from the Precambrian basement. Trondhjemite dike 238 has ages between 169 and 180 Ma. Since the corresponding grains are very small (< 100 µm), ages may represent mixed rim-core ages. A few slightly younger ages were measured in dike 238 (146.0 ± 3.0 Ma and 146.4 ± 3.2 Ma) and 267 (149.8 ± 2.5). As the zircon grains were not chemically abraded, we assert that recent lead loss is responsible for these younger ages (Mattinson 2005). Nine Mid-Cretaceous concordant ages were obtained, in decreasing order (supplement S6): 111.5 ± 4.7 Ma (granitic dike 261), 110.7 ± 2.8 Ma (granite 331), 109.2 ± 1.7 Ma (monzodiorite 330), 109.1 ± 1.7 Ma (granitic dike 032), 108.4 ± 1.7 Ma (quartz-monzodiorite 260), 108.1 ± 2.1 Ma (granodioritic dike 031), 107.7 ± 1.7 Ma (rhyodacite 343), 102.6 ± 2.9 Ma (granite 259) and 96.2 ± 1.6 Ma (granodiorite 266). Seven samples yielded older, dominantly Early Cretaceous ages (107–141 Ma, Table 2). These samples are characterized by fine-grained (< 200 µm) or complexly zoned zircons. We contend that these ages represent mixed rim-core ages due to ablating different age domains during measurement (Fig. S6.2f). Sample 031 additionally yielded assimilated grains and inherited cores with ages typical of the Paleozoic–Mesozoic cover of the Precambrian basement (180–415 Ma). Although we found zircon analyses with non-radiogenic Pb (inserts in Fig. S6.2), we did not apply a correction but, for simplicity, discarded all discordant analyses and used only measurements free of non-radiogenic Pb. 17 samples are used to discuss major and trace element geochemistry. Results are listed in Table 3. Loss on ignition (LOI) values vary between 0.7 and 2.3 wt% for Jurassic samples and between 0.4 and 4.2 wt% for Cretaceous samples. This is consistent with the amount of hydrous minerals observed in thin section, which is higher for Cretaceous samples than for Jurassic samples. This disparity allowed allocating undated samples and used to discuss the bulk rock chemistry, to either Late Jurassic or Mid-Cretaceous granitoids. Subsolidus modification of mobile elements (e.g. Rb, Sr, K and Ba) is considered negligible as there is no systematic correlation with LOI. SiO2 contents range between 47 and 78 wt%. According to the AFM diagram (Fig. 5a), the samples are calc-alkaline and do not show any tholeiitic affinity. Since this diagram cannot discriminate calc-alkaline from alkaline affinity, the samples are further classified based on the total alkali vs. silica (TAS) diagram (Fig. 5b). This reveals that Jurassic samples have a distinctly more alkaline tendency than Cretaceous samples. Harker diagrams define different trends depending on the age of the sample with exception of potassium (K2O = 0.3–7.3 wt%) which shows a wide scatter from low-K to high-K for both, Jurassic and Cretaceous samples (Fig. 6a). Late Jurassic samples are depleted in Fe2O3tot (< 3 wt%) and TiO2 (< 0.5 wt%) indicating early ilmenite fractionation (Fig. 6b, c). They can be subdivided into two groups (Fig. 5b): (1) alkaline and (2) sub-alkaline. Na2O (6–10 wt%) and Al2O3 (18–21 wt%) contents are high for the alkaline samples and lower (Na2O = 3–7 wt%; Al2O3 = 12–15 wt%) for the sub-alkaline granites (Fig. 6d, e). The samples are characterized by heterogeneous concentrations of K2O and Ba (Fig. 6a, f; K2O < 0.8 wt% or K2O > 2.7 wt%; Ba = 200–1700 ppm). Chondrite-normalized rare earth element (REEN) diagrams of Late Jurassic samples (Fig. 7a) are also very variable. One group of patterns is characterized by fractionated light REE (LREE) and heavy REE (HREE) (e.g. (La/Yb)N > 25) with medium LREE concentrations (< 100 times chondrite concentrations) and low abundance of HREE (2–7 times chondrite concentrations). Incompatible large ion lithophile elements (LILE; e.g. Rb, Ba, Sr) are enriched while high-field strength elements (HFSE; e.g. Nb, Ta, Zr and Hf) compared to LILE are slightly depleted (Fig. 7b). The second group of REE patterns is flat [(La/Yb)N = 3–5] with positive Eu anomalies indicating plagioclase accumulation. Trondhjemite dike 238 is strongly depleted in REE concentrations (< 1 chondrite concentration). N-MORB-normalized trace element variation diagrams show enrichment in LILE Ba and Sr consistent with plagioclase accumulation. Middle Cretaceous samples plot in the sub-alkaline field. They are characterized by negative correlation of major oxides such as Fe2O3tot, TiO2, Al2O3 (Fig. 6) and MnO, CaO and MgO (not plotted) with silica content. LREE and HREE are slightly to moderately fractionated [e.g. (La/Yb)N = 2–10]. The patterns differ from each other in the extent of the Eu anomaly (Fig. 7c). Samples 032 and 342 exhibit a small positive Eu anomaly indicating moderate plagioclase accumulation. Samples 260 and 343 have a slight and 331 a marked negative Eu anomaly indicating plagioclase fractionation from the parental magma. N-MORB-normalized trace element variation diagrams show enrichment in LILE and moderate negative Nb–Ta and Ti anomalies, suggesting a source that was modified by melts or fluids coexisting with a TiO2-rich phase such as rutile, ilmenite or titanite (Fig. 7d). Nine selected rock powders have been analyzed for Sr and Nd isotopic compositions (Fig. 8) at Victoria University of Wellington. Results were back calculated to initial isotopic ratios (Table 3). Standard compositions and standard deviations are described in supplementary Table S7. Initial Sr isotopic ratios (87Sr/86Sr(i)) of Jurassic samples range from 0.704215 to 0.705354. Initial Nd isotopic ratios are low with 143Nd/144Nd(i) ranging from 0.512196 to 0.512406. No 143Nd/144Nd values could be obtained for Jurassic dike 238 (87Sr/86Sr(i) = 0.706974) due to very low Nd concentrations. Cretaceous samples show a wider range for both 87Sr/86Sr(i) (0.703161–0.707338) and 143Nd/144Nd(i) (0.512212–0.512707). Plotting the εNd(i) against the age of the samples (Fig. 8 inset) shows that Jurassic samples are restricted to negative εNd(i) values (− 4.7 to − 0.5), overlapping with Cretaceous εNd(i) values (− 5.6 to + 4). Fieldwork and zircon ages revealed an uneven distribution of Mesozoic magmatic rocks in space and time (Fig. 2). Late Jurassic samples could be dated on both sides of the Siah Cheshmeh–Khoy right lateral strike-slip fault, suggesting an analogous tectono-magmatic evolution during this time for the two sides of the fault, i.e. WMU and EKOC + CIB. Cretaceous samples occur only on the Central Iranian block, northeastern side of the fault. This space and time distribution requires discussion of the petrogenetic and tectonic significance of these magmatic populations. 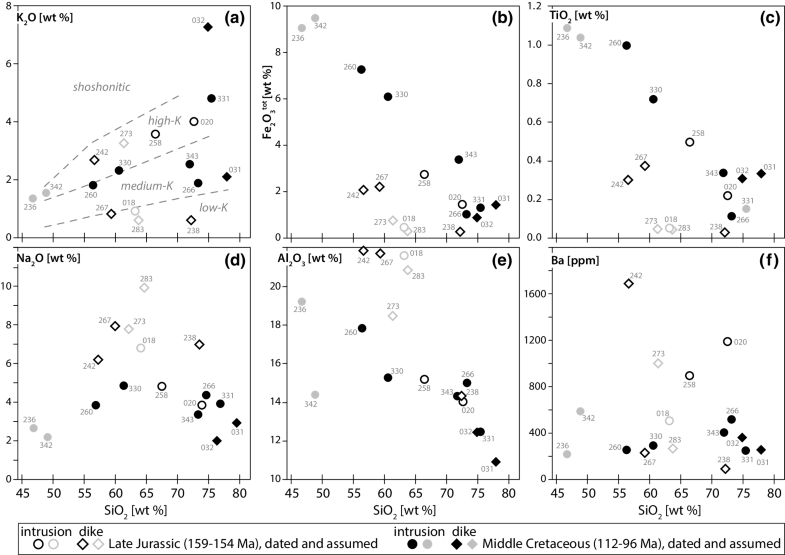 Late Jurassic samples are characterized by low concentrations of Fe2O3tot and TiO2 (Fig. 6) indicating that the composition of these intermediate to acidic alkaline magmas was modified by early ilmenite fractionation. These samples can be subdivided into alkaline and sub-alkaline rocks (Fig. 5). Differences in alkalinity indicate different sources and/or variable degrees of partial melting and/or H2O contents of the primary magmas. The alkaline samples are characterized by relatively high XMg values [0.45 < XMg < 0.67 with one outlier at 0.89 (sample 283 with extremely low Fe2O3)] for their, respectively, high silica contents (56–64 wt%) which is a consequence of (1) early Fe–Ti-oxide saturation effectively depleting Fe along the liquid line of descent and (2) their alkaline character expressed by lower SiO2 content at comparable extent of differentiation. Alkaline samples 242 and 273 are enriched in incompatible elements, such as K and Ba (Fig. 6a, f) emphasizing their highly evolved character despite their intermediate silica content. This clearly points towards an alkaline magma evolution. Inherited zircons may indicate crustal contamination, but since sample 242 delivered only one zircon grain and sample 273 remains undated, the enrichment in incompatible elements cannot unambiguously be ascribed to crustal contamination. On the other hand, alkaline samples 267 and 283 have low concentrations of incompatible elements, such as K, Ba and Rb (Fig. 6a, f), which is inconsistent with derivation from a mica-rich crustal source. The high 87Sr/86Sr(i) ratio of 0.706973 and negative εNd(i) value of − 4.7 in sample 267 is derived either from an enriched mantle source or from interaction with ancient crustal material (AFC—assimilation–fractional–crystallization) in deep seated magma reservoirs (Fig. 8). Inherited Paleoproterozoic to Early Jurassic zircon cores indicate that sample 267 experienced crustal contamination during differentiation, ascent and emplacement. Trace element variation diagrams reveal a rather flat pattern with only moderate enrichment of LREE (Fig. 7) which can either be attributed to fractionation of REE-rich accessories, such as titanite and allanite (a well-known feature in highly differentiated magmas, e.g. Bea 1996; Miller and Mittlefehldt 1982) or their derivation by partial melting from a LREE-poor source such as mafic granulites (e.g. Bea and Montero 1999). The Jurassic sub-alkaline samples 020 and 258 with low 87Sr/86Sr(i) ratios (0.704215–0.704567) and εNd(i) values close to 0 (− 0.5 to − 0.7) indicate a mantle-dominated source (Fig. 8). 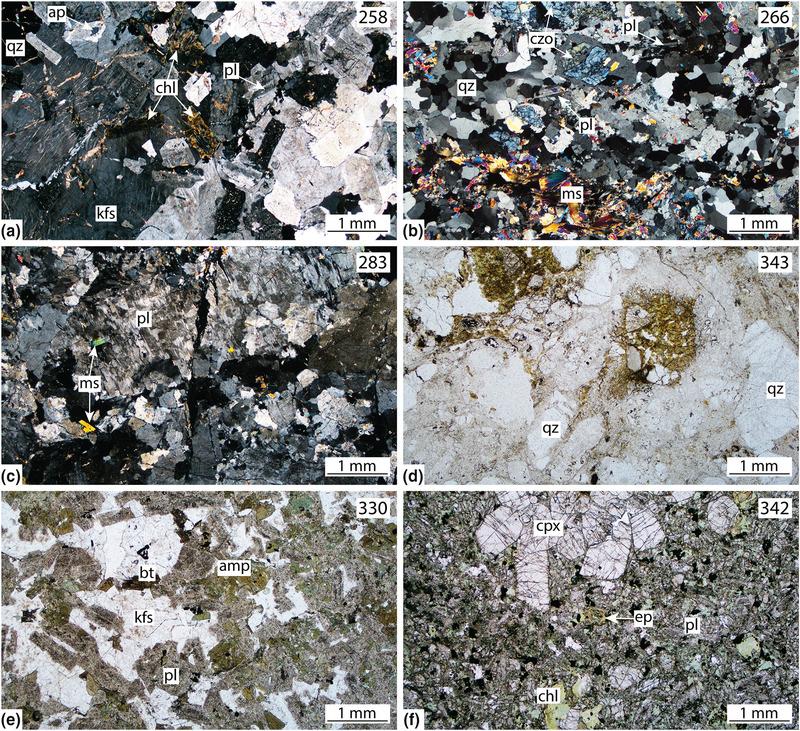 However, these samples are enriched in LREE and LILE, depleted in HREE and have negative Nb–Ta and Ti anomalies, which are common features in granites involving partial melting of the continental crust (Fig. 7; e.g. Pearce and Peate 1995). The enrichment in incompatible elements and the presence of inherited cores and assimilated zircon grains in these samples is consistent with crustal contamination during ascent and emplacement of the magmas. The Paleoproterozoic to Early Jurassic inherited cores match ages from the Central Iranian basement and its Mesozoic cover (Hassanzadeh et al. 2008). These intrusions were emplaced in close vicinity to Late Jurassic sediments cropping out to the north east of the field area (Majidi et al. 2007). This vicinity suggests that the granites reached shallow crustal levels, close to the sedimentary cover of the same age. Middle Cretaceous samples show negative trends for Fe2O3tot, TiO2, Al2O3, MnO, CaO and MgO with increasing silica content (Fig. 6). These trends could be interpreted as differentiation characteristics originating from a common parental melt. However, isotopic results with highly variable 87Sr/86Sr(i) (0.703252–0.707338) and εNd(i) from − 5.6 to + 4 indicate either different magma sources or significant interaction with crustal lithologies during crystallization-differentiation (Fig. 8). Samples 331, 342 and 343 have positive εNd(i) values (+ 1 to + 4) lying close or within the mantle array, hence indicating dominance of a mantle source. Samples 032 and 260 with negative εNd(i) values (− 5.6 and − 2.2) and high 87Sr/86Sr(i) indicate an enriched contribution to the melt, either source inherited or acquired by crustal assimilation. Inherited zircon cores point to crustal contamination during differentiation, ascent and emplacement of the magmas. Trace elements characterized by elevated LILE concentrations, and negative Nb–Ta and Ti anomalies are typical for arc-related magmatic rocks (Fig. 7; e.g. Pearce and Peate 1995). Fluids released from the slab during subduction reduce the melting point, thus enable significant partial melting of the mantle wedge (e.g. Tatsumi 1986). This is in accordance with the larger amount of hydrous minerals and higher LOI values in the Cretaceous samples than in Jurassic samples. The dominantly 159–155 and 112–104 40K/40Ar and 40Ar/39Ar ages of hornblendes from EKOC amphibolites (Ghazi et al. 2001, 2003; Khalatbari-Jafari et al. 2004; Pessagno et al. 2005) are coeval with the Cretaceous intrusion ages obtained in this work and thus likely record thermal events caused by Cretaceous magmatism. With the aid of field and satellite mapping, bulk rock geochemistry, and zircon dating, the Mesozoic tectonic and magmatic evolution of the Khoy area can be reconstructed (Fig. 9). In the Late Jurassic, alkaline mantle-derived melts intruded the Precambrian basement covered by Permo-Triassic platform limestones (Amini et al. 1993; Aminiazar and Abbasi 2003; Khodabandeh et al. 2002a; Radfar et al. 1993). The transition from shallow water shelf deposits into thinly bedded limestones with Late Jurassic benthic foraminifera and microfossils, and chert nodules in the upper sequence (Majidi et al. 2007) indicate deepening of the sedimentary environment, hence subsidence. This regional subsidence is coeval with the alkaline–sub-alkaline intrusions dated in this study. 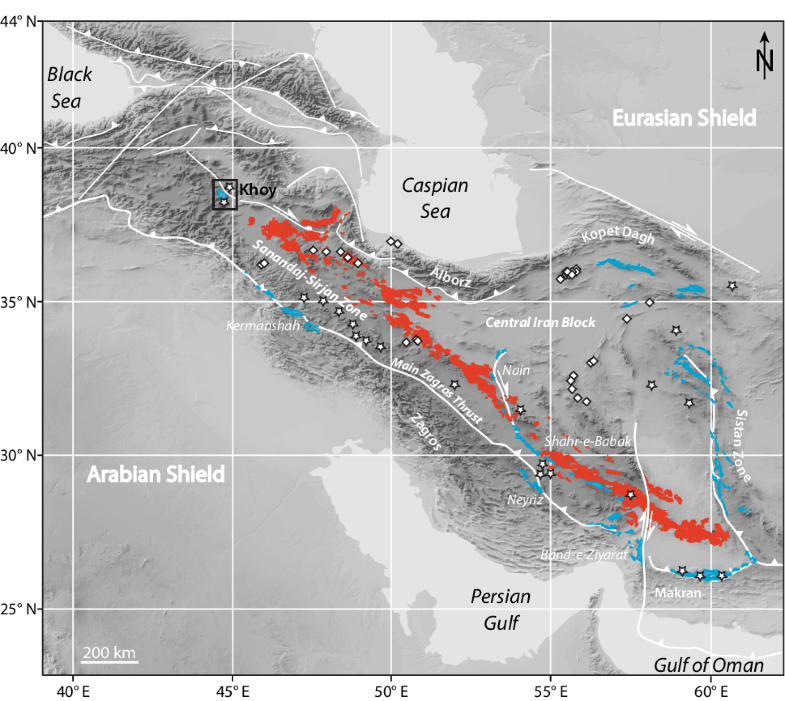 Coeval magmatism and subsidence denote lithospheric thinning of the Central Iranian continental block with the Khoy area representing its continental margin. Possible causes for continental rifting are mantle plume activity and passive rifting. The mantle source is inconsistent with upwelling of a deep asthenospheric source, which would produce suites ranging from strongly alkali-, incompatible element-enriched (Pearce 1996) to transitional tholeiitic magmas unlike the obtained analyses of Jurassic samples. Therefore, we favor passive rifting where magmatism is due to decompression of a variably metasomatized subcontinental lithosphere. These melts experienced various degrees of crustal contamination during differentiation, ascent and emplacement into the thinning continental crust, generating alkaline to sub-alkaline compositions. The mantle signatures testified by the isotope geochemistry and the presence of inherited cores in dated Jurassic zircons are both compatible with this interpretation. NNE–SSW to NE–SW striking dikes suggest ESE–WNW to SE–NW directed extension. Asymmetric passive rifting would explain exhumation of the subcontinental lithospheric mantle of the Central Iran block, now preserved as the eastern Khoy ‘ophiolite’ complex. Further extension led oceanic spreading and the formation of the oceanic lithosphere now partly preserved in the Western Khoy ophiolite complex. Mid-Cretaceous intrusions with arc signatures suggest subduction of the Early Cretaceous oceanic lithosphere below the Central Iranian margin. Early Cretaceous sediments are found only as latest Albian to early Cenomanian (< 100 Ma; Ghazi et al. 2003; Pessagno et al. 2005) olistoliths in the Campanian olistostrome of the study area (Avagyan et al. 2017). We contend that the most part of these sediments has been subducted with the ocean floor (the non-metamorphic WKOC). The planktonic foraminiferae and radiolarian assemblages of these sediments indicate a deep-sea environment in the Khoy oceanic basin during the Early Cretaceous. 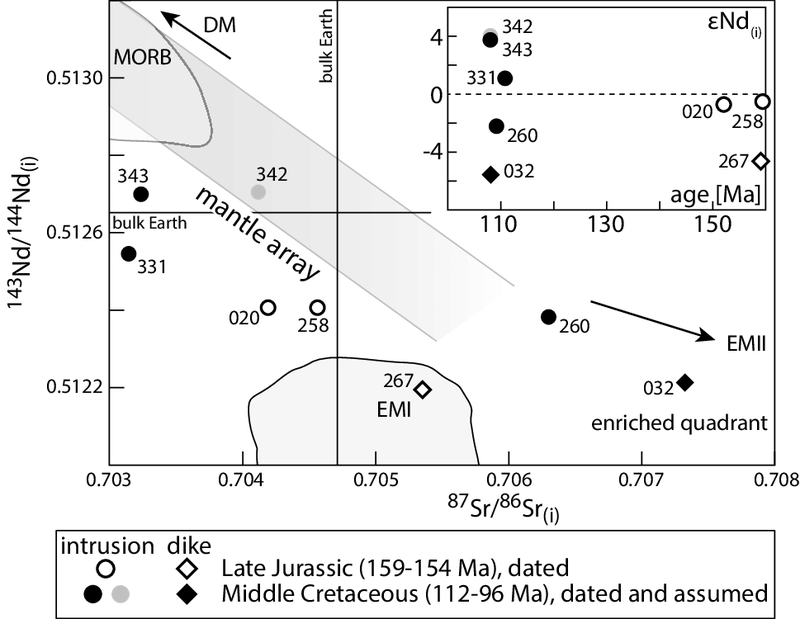 We interpret the 40-Ma age gap between the Late Jurassic and the Middle Cretaceous magmatic episodes as the time of existence of the Khoy oceanic basin. The Early Cretaceous magmatic gap is reported all along the Urumieh–Dokhtar magmatic arc and the Sanandaj–Sirjan zone (Chiu et al. 2013). It has been explained by migration of the magmatic arc from the Jurassic Sanandaj–Sirjan zone to the Tertiary Urumieh–Dokhtar magmatic arc (Agard et al. 2011; Verdel et al. 2011). This migration would be caused by the conjectural flattening of the Neo-Tethyan subduction angle. However, this interpretation is at odds with the geochemical signatures of Jurassic intrusions while the sedimentation environment was deepening (e.g. Hunziker et al. 2015; Mohammadi et al. 2016; Şengör 1990). Jurassic subduction along the southwest border of the Sanandaj–Sirjan zone was mainly inferred from a ‘subduction’ signature with LILE- and LREE-enriched, and HFSE-depleted patterns in granitoids (e.g. Azizi et al. 2015; Bayati et al. 2017; Chiu et al. 2013; Esna-Ashari et al. 2012; Ghasemi and Talbot 2006; Khalaji et al. 2007; Mahmoudi et al. 2011; Mohajjel and Fergusson 2014; Mohajjel et al. 2003). However, geotectonic classifications of granitoids should be used with caution as several types of contemporaneous granitoids may occur together in the same tectonic setting (Barbarin 1990). This ambiguity is particularly true for the trace element chemistry, which is sensitive to minor (accessory) phases, mixed sources, volatile interaction, variable degrees of partial melting, and restite accumulation (Winter 2010). We suggest that the inferred, Jurassic ‘subduction’ signature is rather a consequence of either (1) the derivation of the primary magmas from an enriched, previously metasomatized mantle source (e.g. by ancient subduction events) or (2) the assimilation/contamination of the mantle-derived magmas by continental crust during differentiation, storage and ascent. An open question remains the change from opening to closure of the Khoy oceanic basin. The Middle Cretaceous rhyodacite and granitoids have calc-alkaline characteristics of a rather mature arc. For comparison, it took < 10 Ma from subduction initiation to calc-alkaline arc magmatism in the reference Izu–Bonin–Mariana forearc (e.g. Ishizuka et al. 2011). If this estimate is applied to the Khoy area, subduction of the Khoy oceanic basin started approximately 120 Ma ago. Correlations with similar tectonic units in Turkey (e.g. Ağrı, Maku, Siah Cheshmeh and Van) remain unclear. Along with the Khoy ophiolite, the border region between Turkey and Iran is characterized by ophiolites and ophiolitic mélanges. Basement rocks in Turkey are mainly represented by Late Cretaceous, high-temperature/low-pressure metamorphic rocks. Jurassic igneous and metamorphic rocks are unknown (e.g. Oberhänsli et al. 2010; Topuz et al. 2017). Based on the striking differences between Eastern Turkey and NW Iran, Şengör (1990) and Topuz et al. (2017) connect the Izmir–Ankara–Erzincan suture with the Zagros suture. More fieldwork and analytical studies are necessary to corroborate such an interpretation. Zircon dating of magmatic rocks in the Khoy area revealed two, ca. 40-Ma-apart periods of magmatic activity. Late Jurassic (159–154 Ma) magmatism took place during continental rifting, which separated the Central Iran block to the northwest from the Sanandaj–Sirjan continental sliver to the southeast. Geochemical analyses suggest a mantle-dominated source for these magmas, which were variably affected by crustal contamination during differentiation, ascent and emplacement in a thinning, subsiding crust. This rifting event preceded the Early Cretaceous formation of the non-metamorphic Khoy ophiolite in an oceanic basin between the Sanandaj–Sirjan zone and the Central Iranian block. Mid-Cretaceous (112–96 Ma) magmatism indicates subduction of the Khoy basin below the Central Iranian margin. Subduction of this basin beneath the Central Iranian block may have started ca 120 Ma ago. The active Siah Cheshmeh–Khoy Fault has reactivated the former suture. This research was financially supported by SNF Research Grant (project 2-77979-14). Remy Lüchinger prepared thin sections, Lydia Zehnder helped with the XRF analyses, Markus Wälle with the LA–ICP–MS and Karsten Kunze with the CL and BSE imaging of zircons. Albrecht von Quadt provided secondary zircon reference material. Thanks to Bruce Charlier from Victoria University Wellington for the isotope measurements and the help on the related methodological part. Logistic support from the Geological Survey of Iran is appreciated. We thank Gültekin Topuz and Axel Schmitt for detailed and valuable comments and Jochen Hoefs for the editorial work. Associated data to this article are found in the supplements S1–S7.